The weather is getting warmer and it is time to pick up a good pair of swim shorts. 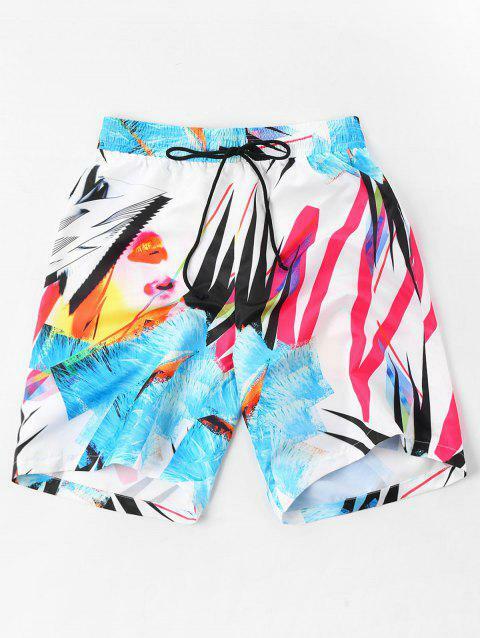 Featuring geometric half face print and an adjustable drawstring for comfort, these board shorts feel just as suitable for the city as they are for the beach. Pair these shorts with a relaxed tee and hoodie for a casual summer look.